Mystikal corps director Chris Magonigal submitted this photo and caption. Here is a photo from Mystikal's April rehearsal camp. 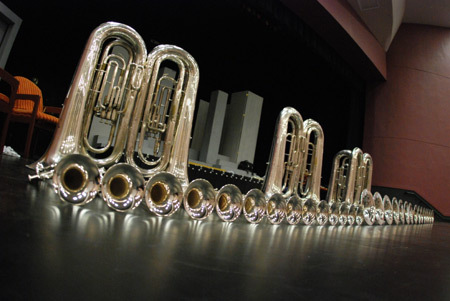 We were able to secure new brass instruments for the corps and they were so excited to see this line when they showed up for camp. It gave us all goose bumps and started the camp off with an excitement that carried through the whole weekend.